Shuttersong, a photo-audio app, and Bare Tree Media, a leader in virtual branding, today announced a partnership that will enable fans of popular character based brands to create audio-enhanced images using licensed properties from within Bare Tree Media’s digital brand portfolio. 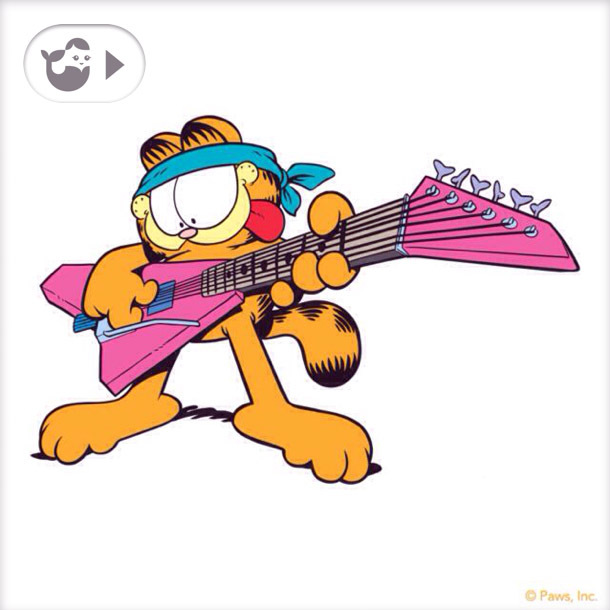 Starting today, fans can purchase Garfield digital image packs licensed and created by Bare Tree Media, personalize the images using the Shuttersong app with voice or a song clip from their music library, and then share one-to-one or via social networks. Four Garfield packs at $1.99 each are now available through the Shuttersong app. Bare Tree Media is the master digital licensee for Garfield © Paws, Inc. The partnership marks another major step for Shuttersong’s branded content commerce business. Previously the company raised $2.2 million in seed funding and teamed up with American Greetings to offer audio-enhanced digital greeting cards packs through the app which was announced in February. For Bare Tree Media, the partnership marks its further expansion of digital distribution platforms around the globe. Recently Bare Tree Media launched its branded content in Japan and China the end of 2013, and across various partners throughout the Americas and Europe earlier this year. An upcoming launch is planned for Korea and other regions of Asia. In coming months, Shuttersong and Bare Tree Media will expand their content offering by adding additional branded digital content from Bare Tree Media’s expansive line up of brands. Shuttersong® was founded by marketing veteran William Agush who was inspired by a “talking photo frame” that played the toddler voice of his now-adult son. By bringing together a team of business, marketing and technical experts, Shuttersong was formed and backed by a group of financial investors that recognized the app’s potential. Shuttersong’s advisory board includes executives from AOL, Brilig/Merkle, Constant Contact, DART DoubleClick, HighStart Group, Ideeli, YP.com, Microtouch, Snickleways and AEG. Shuttersong is based in Wellesley, MA. Follow the company, as well as the many #Shuttersongs created, on Twitter at @shuttersong and on Facebook. Shuttersong is a registered trademark of Shuttersong Incorporated. Bare Tree Media creates branded digital entertainment solutions to drive consumer engagement and commerce through mobile and online platforms for popular and emerging branded properties. The company is the global leader in virtual branding as it relates to branded virtual goods, branded mobile stickers and emoticons, branded mobile apps and branded email across worldwide markets. The company’s brand partners include Angel Cat Sugar, Brandberry, Charuca, David & Goliath, Domo, Doodle Jump, Garfield, Hello Kitty, Hoops&Yoyo, It’s Happy Bunny, KISS, Skelanimals, Smiley World, So So Happy, Tokidoki, The Three Stooges and many more legacy and emerging brands. For more information please visit www.baretreemedia.com.